Birmingham Big Art Project | Commonwealth Games are coming to Birmingham in 2022! 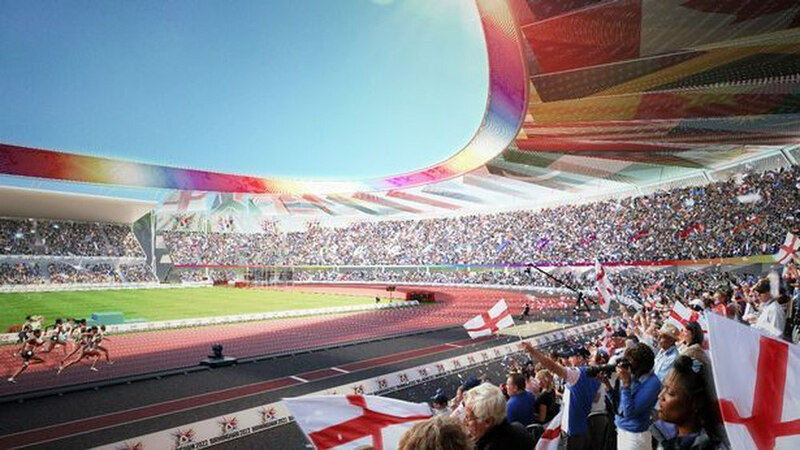 Home » Articles » Commonwealth Games are coming to Birmingham in 2022! It was announced yesterday that Birmingham is set to be the host of the Commonwealth Games in 2022. A notable win when this is only the third time the games are set to be held in Britain since the turn of the century. This is great news for the region and many notable figures are praising the city for the hosting win. Including Olympic medalists, politicians and even the Birmingham library was lit up to celebrate. The good news comes after the CGF deemed Birmingham’s bid as “not fully compliant”. But the city has now been confirmed at the host of the £750m event and we can’t help but mimic the words of West Midlands Mayor, Andy Street, to say that this really is a great Christmas present for the region. Plans are now being put in place to build the UK’s largest permanent athletics stadium, the games are set to take place between 27 July and 7 August 2022.